The British government has removed its recommendation that mobile phone users switch to handsfree units when using their wireless phones, opting instead to start issuing leaflets warning buyers of the unknown, but potentially harmful impact, of mobile phone usage by children. The warning leaflets, which will go out to mobile phone retailers in the next few weeks, follow the British government's continuing funding of tests into the effects of mobile phone radio frequency (RF) radiation on the soft tissue of the brain and head. The government says that it is now undertaking a $10.5 million research program into the effects of mobile phones on users' health, and has opted for the distribution of safety leaflets to wireless outlets in the next few weeks, warning parents and other parties about the possible harmful effects of mobile phones on children. 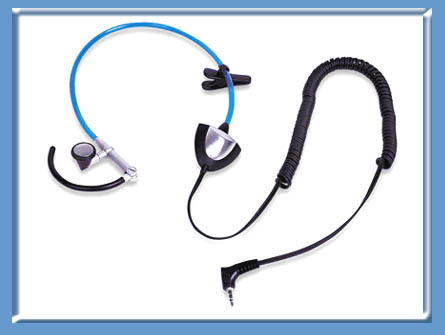 Liam Donaldson, the UK's chief medical officer, said that the government's decision to remove the health approval on handsfree kits followed a number of investigations that claim handsfree devices may even channel radiation to the users head. "We don't have good enough science so far to say definitely one way or the other," he said, adding that further research is being conducted urgently to provide an answer to the question. Donaldson's decision to issue mobile phone safety leaflets to retailers is a complete u-turn on the issue of mobile phone health issues since the summer. In August, the government said that, despite a damning Consumers Association (CA) report in April that said handsfree kits for mobile phones were unsafe, its early research had come out with a report giving them a clean bill of health. At the time, Patricia Hewitt, the British e-minister, shied away from naming the CA report specifically, noting that the government report has concluded that using personal handsfree (PHF) kits with mobile phones will reduce exposure to electromagnetic fields. "Today's report confirms that hands-free kits reduce exposure for mobile phone users," she said, adding that it is important that the public is provided with clear and unambiguous advice about the use of handsfree kits. Research for the summer study was conducted by SARtest, which was commissioned by the UK's Department of Trade & Industry (DTI) to carry out tests on PHF kits. The British government's Independent Expert Group on Mobile Phones and Health (IEGMP), meanwhile, noted at the time that other studies have been carried out which claim a substantial reduction in exposure when using PHF kits, but recommended further work. SAR Test said that all measurements taken of the phones themselves were comfortably within exposure guidelines of the National Radiation Protection Board (NRPB) and the International Commission on Non- Ionizing Radiation Protection (ICNIRP). The research company, however, added that undertaking the tests does not suggest any problem of compliance with the guidelines. 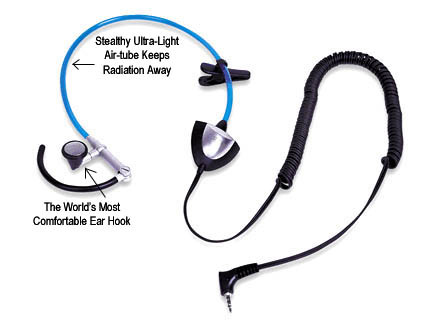 by using an airtube headset.